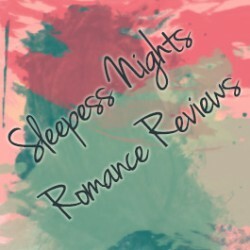 Original Review at Sleepless Nights Book Reviews. Rebecca is stuck in a mountain because her boyfriend decided to introduce her to his swingers club even though she’s clearly not pleased about it. Why does she do this? Mostly because her mother raised her conservatively and because of body issues that stem from parent abandonment. She believes that Matt is a perfect match for her because he ticks all the boxes in her love checklist. Even though they clearly don’t have chemistry and he’s kind of not nice. There, she meets the ex-military owner of the lodge they’re renting, Logan. Logan is a Dom and he recognizes something with Rebecca and is more than willing to introduce her to his world. Rebecca is titillated and the 4 days she spends there with Logan is probably the most exciting time of her life. So yes. This was really sweet. And hot. But mostly sweet.